ABOUT METABOLIC RENEWAL: Welcome to Metabolic Renewal’ exclusive invite-only affiliate program. We could not be more excited that you are embarking on promoting this revolutionary program designed specifically to help women tap into the unique attributes of her female metabolism, and to use that as an advantage to lose weight, look great, and thrive. This program is like no other on the market. It is the culmination of Dr. Jade’s 25 years of clinical work with women of all ages as a personal trainer, across the desk as a physician and as a life coach and counselor for women in all stages of life. Metabolic Renewal is the first hormone-focused body change program ever developed specifically for women. It is also architected to be the last diet and exercise program women will ever need because it teaches them how to become their own metabolic detective, giving women of all ages and fitness levels the tools and knowledge to personalize the program, adapting their eating, exercise and life in response to their body’s natural cycles, rhythms and hormonal changes as they age. BEFORE PROMOTING METABOLIC RENEWAL: Before you can be accepted into our affiliate program, we need to make sure it is a good fit. If you are not already a Natural Health Sherpa affiliate you must first be approved prior to promoting Metabolic Renewal through the form below. We do this to protect all affiliates as well as our brand. We process all applications within 3 business days. If you have an urgent question, please email jv@naturalhealthsherpa.com. If you are already an affiliate of Metabolic Aftershock, Metabolic Prime or Metabolic Factor, you do not need to apply again. Your username and password from our other affiliate logins will work on Metabolic Renewal. If you forgot your username and password, please email our affiliate management team at jv@naturalhealthsherpa.com. Simply fill in the form below. Once you’re done, your application will be reviewed and we’ll contact you if you’ve been approved. To learn more about Metabolic Renewal’s affiliate program, please scroll below the form. *What is your email list size? *Please describe how you plan on promoting Metabolic Renewal – e.g. your house email list, email media buys, display media buys, paid search or otherwise. We’ve developed our programs with the affiliate in mind. 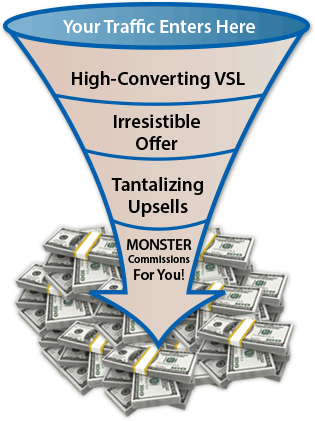 All of our funnels have a high Average Order Value (AOV) and we pay the most attractive commissions in the industry. Our commission structure is 75% commission on the front-end sales and 50% commission on the upsells and lifetime sales. Because we manage our own merchant relationship, our processing fees are 50% less than ClickBank which means more cash in your pocket. Before going live 100% of our marketing has been tested both through joint venture partners and cold traffic. We have spent tens of thousands of dollars in media buys, internal tests and rigorous tests to close joint venture email lists to ensure every last detail of the funnel is optimized — price point, video, upsells, exit pops and everything in between. #3 A Science-Based Program You Can Be Proud Of! 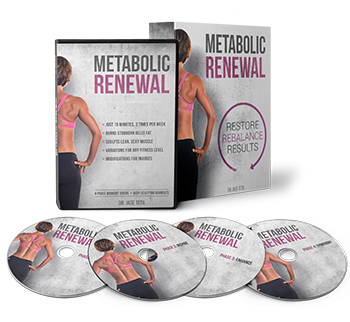 Metabolic Renewal is the first science-based, metabolism-restoring program designed to turn the natural female hormonal rhythms into a fat-burning, body-sculpting advantage. Each 15-minute workout contains a specific sequence of 45-second, hyper-efficient “intelligent” exercises that combine cardio, resistance and fitness training. This empowers your metabolism to deliver you the most results in the least time, particularly if you’re short on time and have struggled to get results in the past. Dr. Teta created Metabolic Renewal™ after listening to 25 YEARS of feedback from THOUSANDS of real female patients in his North Carolina Clinic. Dr. Teta has seen it ALL and has been there to help women repair the metabolic damage. 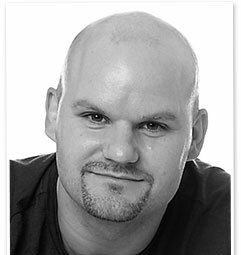 This is your unique affiliate tracking ID that will go in all of your links. Your affiliate ID can be up to 20 characters. Please choose this VERY carefully as you will NOT be able to change this once your account has been created to ensure that you will get proper credit for all commissions you generate. What does ‘Payable Name’ mean? This is your company name, your name or whatever other legal entity name that you want your payment made out to. What does ‘Email for Username’ mean? Your email address will be used as your username, so when you login, please login using this email address as your username.